MySchool Day Planner is the one stop solution to all your needs and problems. 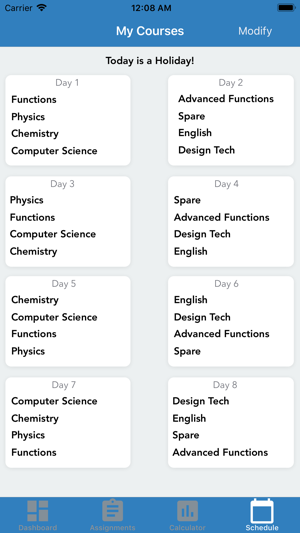 With this app, you can manage your day courses through the schedule feature. You can also keep track of your assignments for the complete month! If you've started a week-long project, swipe left to mark it as In Progress. Then once you're done, you can swipe again to mark it as done. Is there an assignment you don't feel like doing? Well - just swipe right to snooze it and the app will automatically remind you later. 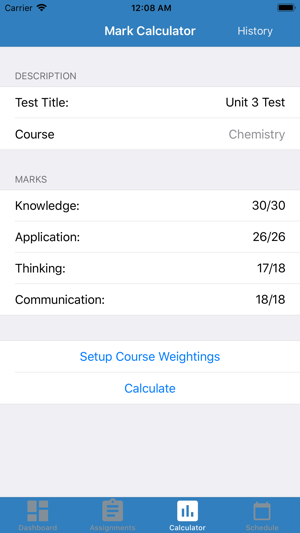 You can also use the marks calculator to get your weighted average on an assignment or test. 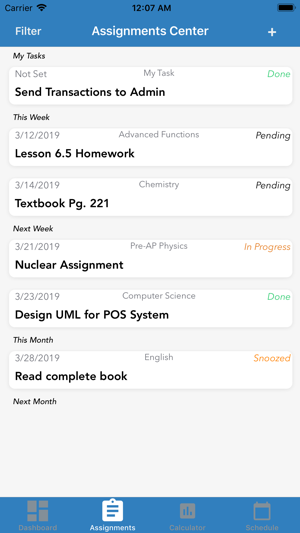 The app also keeps track of your older assignments in case you want to check your course average before they're released. 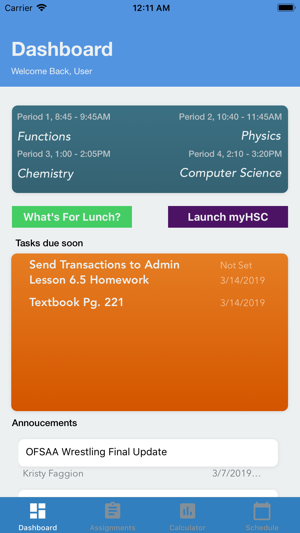 The app also features your lunch menu and a quick access link to myHSC. Download and Explore The World of Possibilities! We are super excited to present a brand new and more relevant dashboard! Along with the dashboard, this update destroys the bugs from the last version (Beat that bugs).